This is a very old article. Though I am still using them mainly for investment but has stopped recommending them to others. Read why in this article here. Have really started to like them for couple of reasons that I will share them here. I am fine paying higher brokerage for great service but when you get great service at such a lower brokerage price, you should not be looking at other brokers. Only 20 Rs as Brokerage Per Trade! Very innovative in implementing things that work for their business. 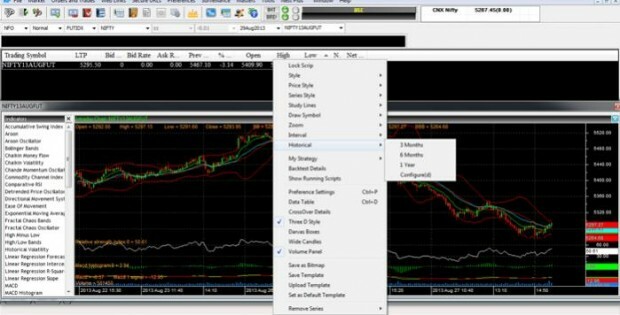 As an example I have recommended ZeroDha to DIYTechnicalAnalysis members and now ZeroDha is open to provide customized solution to my blog readers. Just use this link to get in touch with a representative from Zerodha or you can use my name as referrer to get the same customized service. I have been referring lot of customers to other brokers but no one has taken this far. 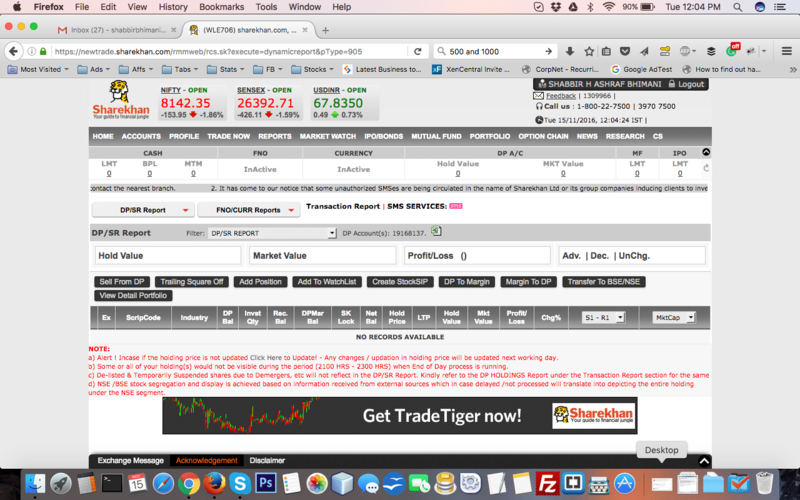 In my December portfolio report, few readers noticed that for the first time I invested and shared the contract note of Zerodha as opposed to Sharekhan it is because ShareKhan on 15th of November had a horrible day. I was blocked out of the market for a complete day. I could not view my portfolio, could not place orders and could not trade for the full day. This not only happen to my account but it also happened with my wife’s account as well. This happened not only on the web end but my relationship manager could not place orders and told me it is system issue and Mumbai has been notified about it. I just saw my stock falling and getting at levels I always wanted to buy and tried and tried and tried but all in vain. I even transferred funds but just could not do anything after that and the funds did not reflect into my account till next day. Few of my friends who have ShareKhan account had a similar issue. This happens on the back of when I have invest 15Lakh Rs in a year and they have earned handsome brokerage for my investment. It was a day when Pidilite hit a low of 585ish and I wanted to place an order to buy as close as possible to my lower band of my buying range which was 620 to 580 for me. After such a horrible experience and not being able to trade for a complete day, ShareKhan management did not bother to email about what happened. 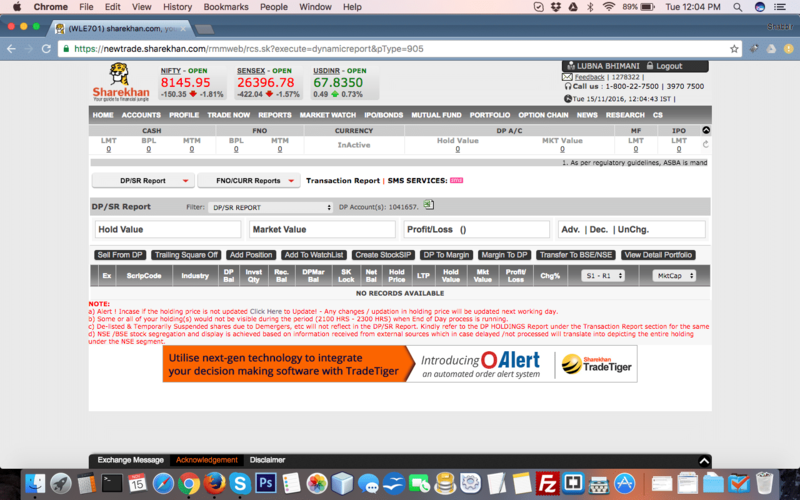 This is when I decided to switch back to Zerodha. Zerodha had similar hiccups in the past but for few hours and not for the complete day and are brave enough to accept they had issues. 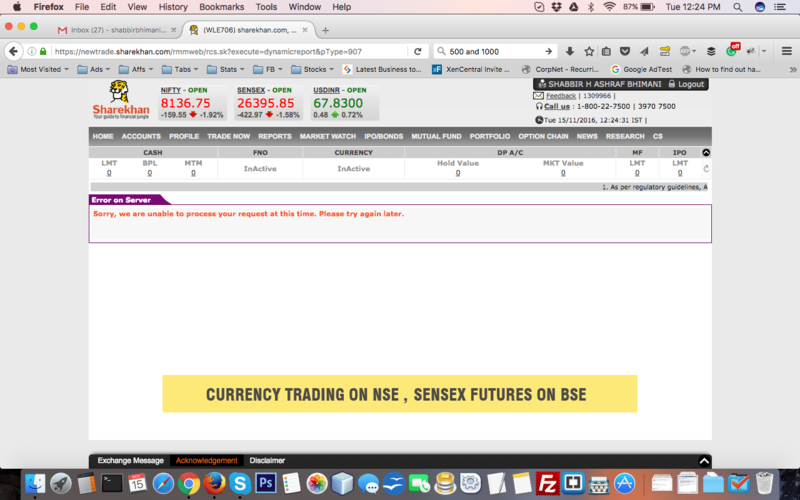 When you are charging 30 times more brokerage (Yes ShareKhan brokerage is 30 times more than Zerodha), you expect much better technical services and cannot have days when you just are blocked out of the market. I was willing to add more to my portfolio but imagine those who are stuck in positions and want to square off as soon as possible to minimize losses?